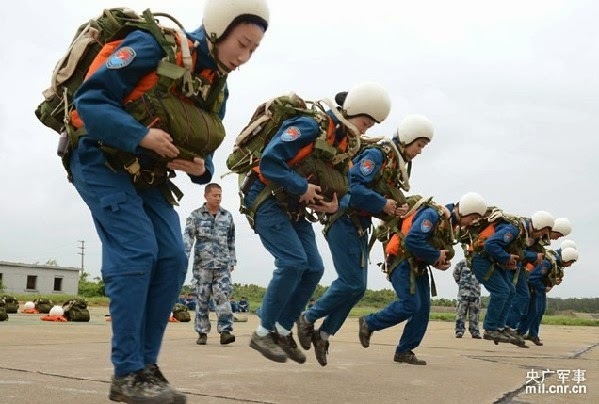 Photos of the day: The first batch of the Chinese female fighter pilots in overwater parachute landing training. 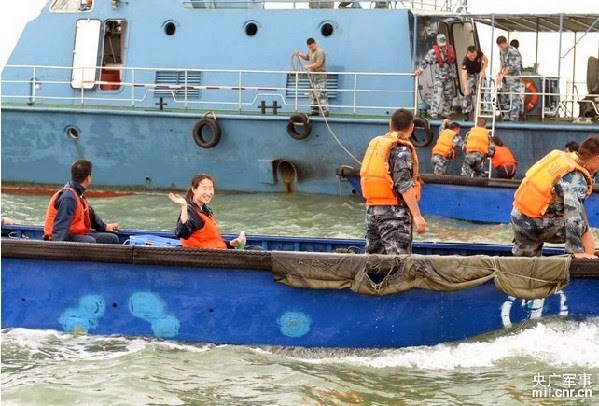 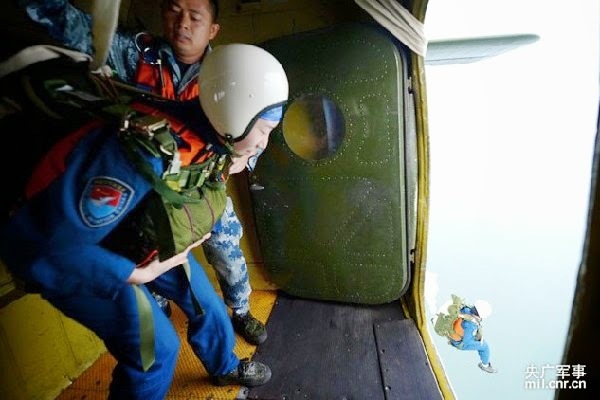 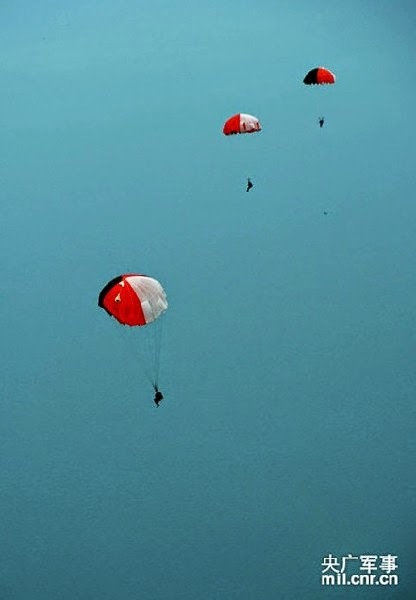 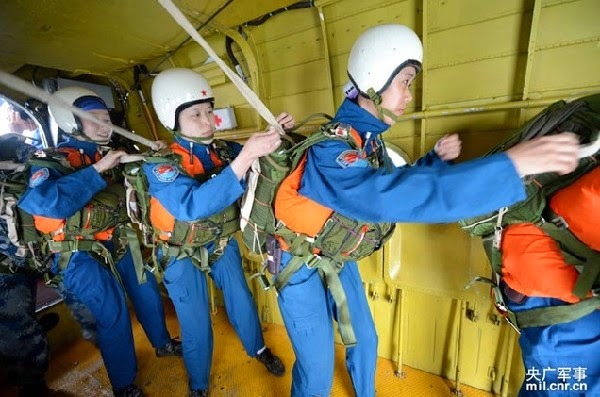 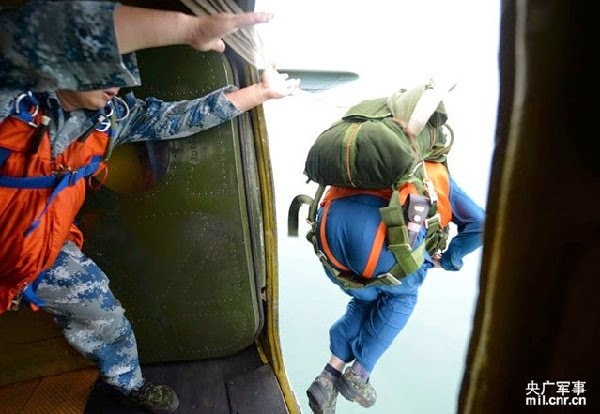 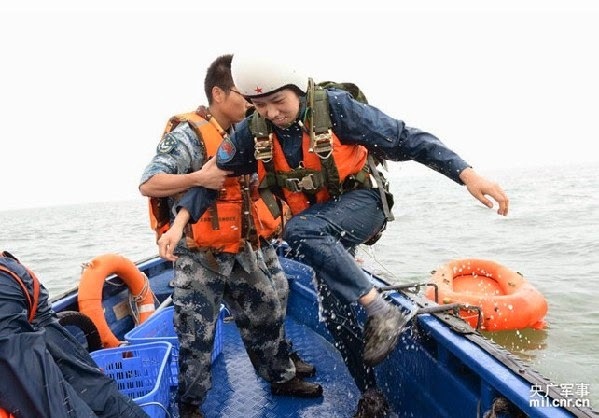 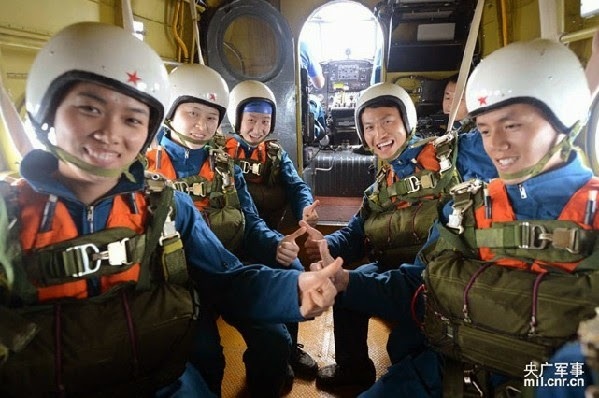 The first batch of the Chinese female fighter pilots from the Air Force of the People’s Liberation Army (PLAF) completed overwater parachute landing and survival training over a sea area. 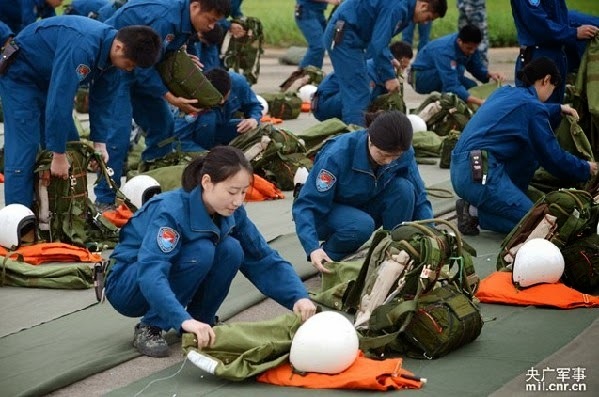 The images shows that female pilots prepare parachutes before boarding the plane. 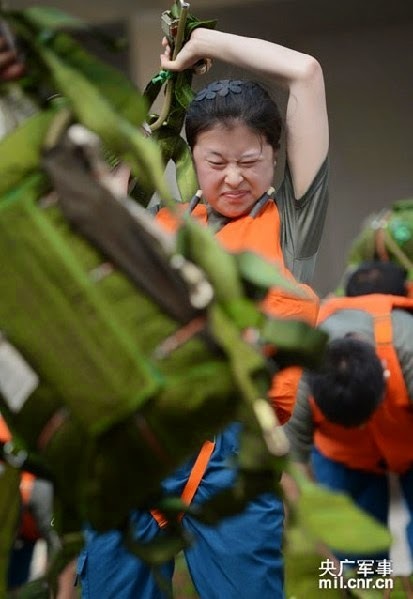 The images shows a female soldier is about to jump out of the cabin.